Working in an office often means that I work through my lunch break and eat at my desk. We all know this is unhealthy and yet we continue to do it. 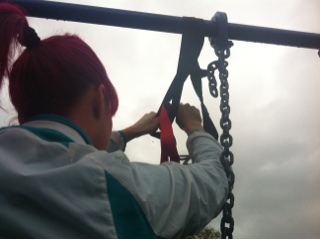 So when I got an offer to spend my lunch break in the great outdoors trying out suspension training, I couldn’t say no! 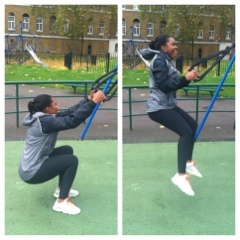 With arms already tired from my hoop, pole and NTC antics, this took me to shaking point! 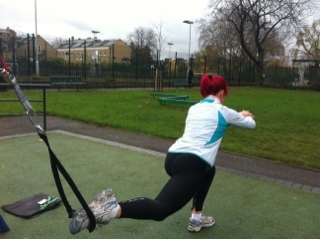 The core exercises were definitely targeting the right areas but my arms were too tired to hold me up for too many reps! So, what’s for lunch?! You can even combine a walk or cycle to your favourite lunchtime restaurant for some healthier options!